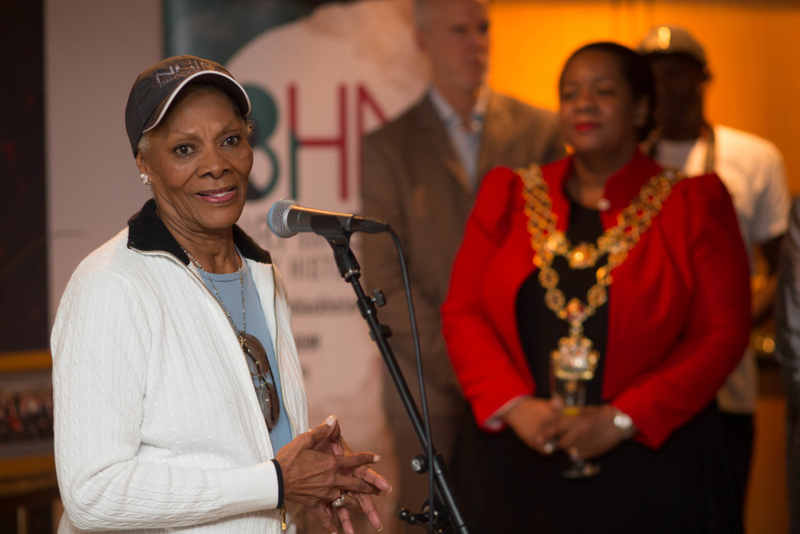 Ahead of performing at Symphony Hall yesterday, international music legend Dionne Warwick spoke to invited guests about celebrating Birmingham Black History Month. 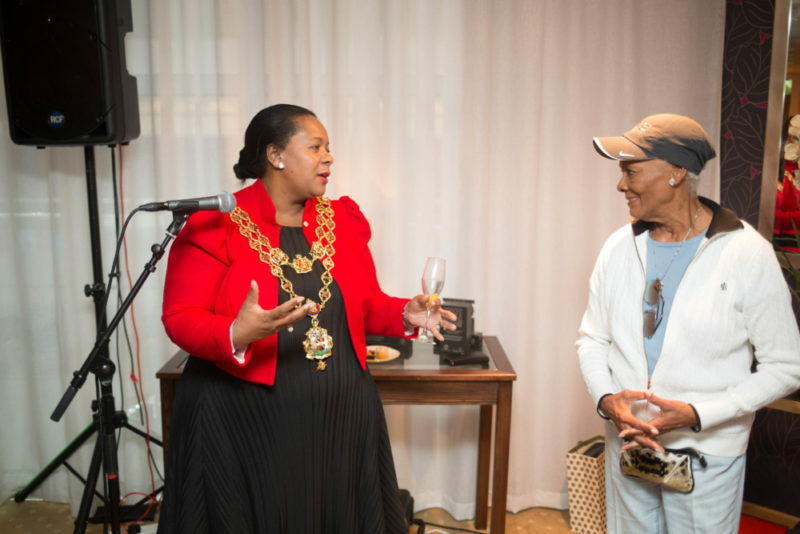 The private event, attended by the Lord Mayor of Birmingham, Councillor Yvonne Mosquito, Vice Lord-Lieutenant for the West Midlands, Beverly Lindsay and Honorary Consul for Lithuania, Keith Stokes-Smith, shone a spotlight on what has become an important feature of the City’s event calendar. 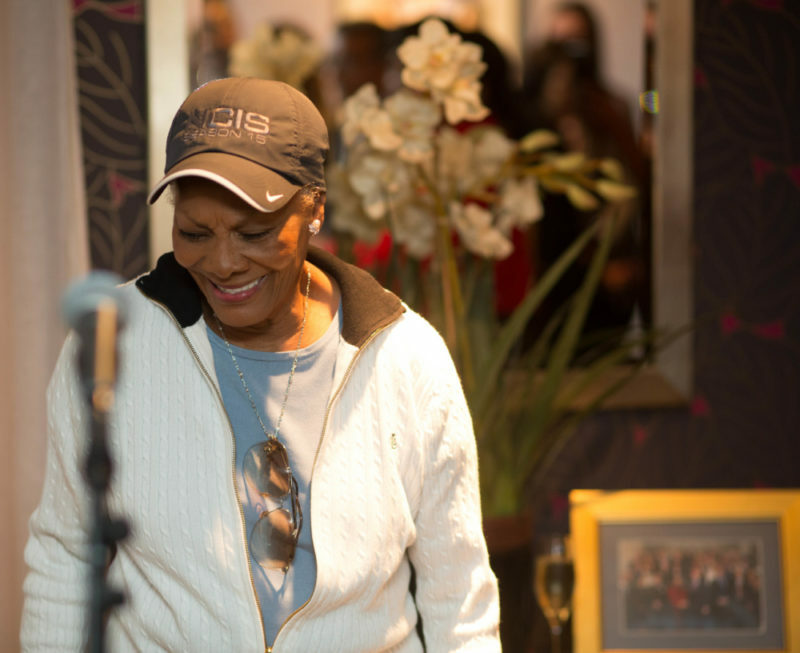 Soul and pop legend Dionne Warwick is in Birmingham as part of her 2018 tour ‘Don’t Make Me Over’. She’ll be taking to the stage as she performs some of the most beautifully written classics from 5 decades, including Walk On By, Any One Who Had A Heart, Do You Know The Way To San Jose, Don’t Make Me Over, and Heartbreaker. Town Hall, and more recently Symphony Hall, have been the focal point for monumental moment’s in Birmingham’s black history and are delighted to be working closely with Birmingham Black History Month throughout October to share some of these stories. An official public launch of Birmingham Black History Month takes place at the Birmingham Town Hall on Tuesday 25th September. The evening – presented by Blackstory Partnership – will be hosted by Des Coleman of Central TV, with an impressive line-up of speakers and performers including Musical Youth and Basil Gabbidon Band (former members of Steel Pulse). By way of a stage play, the event will also be acknowledging one of the world’s renowned civil rights leaders, Martin Luther King Jnr. Written by Tonia Daley-Campbell, Dr King: The Aftermath depicts the legacy of Dr King and asks the question how far have we come in terms of equal rights and social justice? The launch is expected to be an exhilarating, uplifting evening, which will reflect on local contributions to Birmingham’s Black History. The official public launch of Birmingham Black History Month takes place at the Birmingham Town Hall on Tuesday 25th September at 7pm. For more information, visit thsh.co.uk.